While the first part of my July 4th week was very busy, the second half was pure relaxation and fun. Hubby and I both took the Friday after the Fourth off because going back to work after having a lovely day off seemed like torture, and by the time Thursday hit arrived, I was ready for a that long weekend to begin. There’s nothing quite like being in the U.S. Capitol on July 4th, so even though we had several invitations to head out of town, we stayed home. I started off the day with a short 2-mile interval run, since I was still getting my hip back into the swing of running. Then, in what has evolved into a sort of tradition for us, Hubby and I spent the early afternoon at the movies watching Brad Pitt defend the world against a zombie invasion in World War Z because, let’s be honest, nothing says “celebrating America” like going to the movies on July 4th. After that, Hubby grilled hot dogs and corn while I opened a bottle of California sparkling wine because it’s never a real celebration without some bubbly. 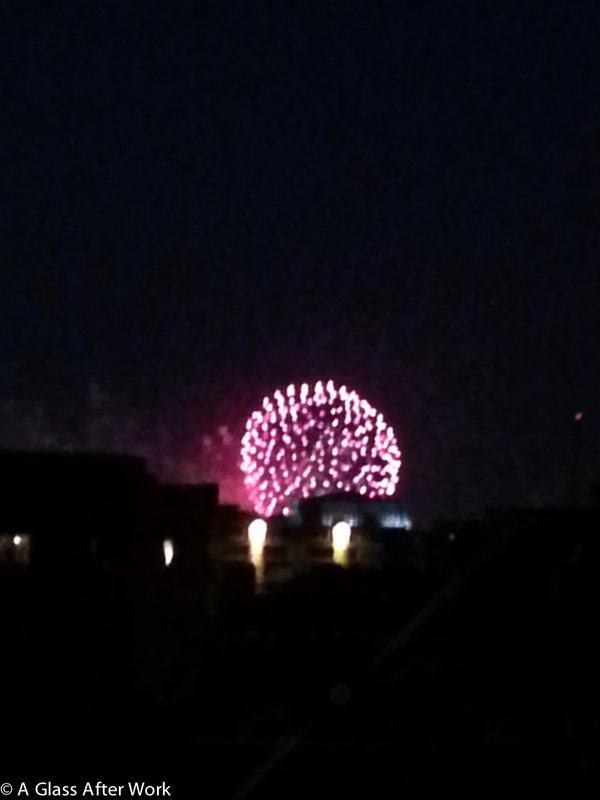 As 8pm approached, we headed up to the rooftop of our building, where we can not only see the DC fireworks going off over the Washington Monument, but also see fireworks all along the horizon from towns all over the DC Metro area. 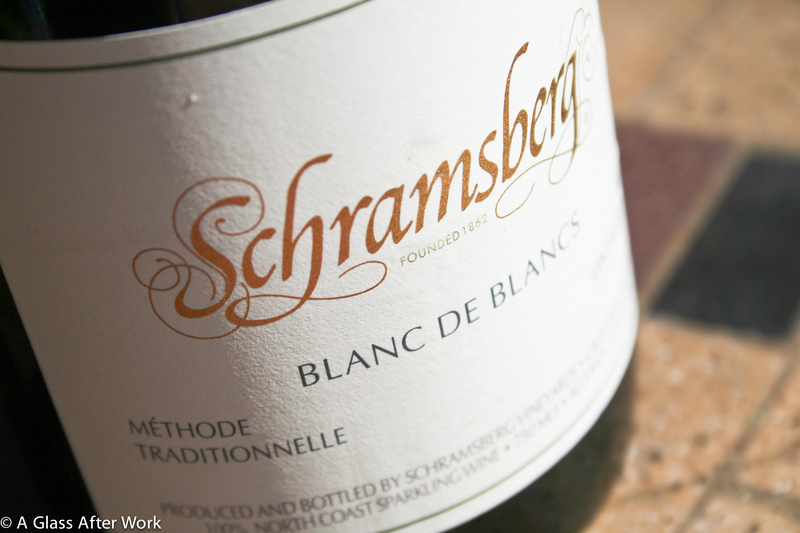 The Schramsberg Vineyard Blanc de Blanc (winery) is from the Calistoga area of Napa Valley in California and is made with 100% Chardonnay grapes. The sparkler had a lot of small persistent bubbles and was a light-to-medium straw yellow. On the nose, there were granny smith apples, yellow grapefruit, and hints of lemon curd and key limes. In the mouth, there were granny smith apples, lemon curd, and key limes. The sparkler had a light body and bright acidity. Is this worth a glass after work? Definitely! If you see this wine in the store, grab it; you won’t be disappointed. At $34, this sparkling wine is a little pricey for an everyday bubbly, but it was priced just right from something that was a little extra special without breaking the bank. It was strikingly memorable or different, but it was definitely enjoyable. All in all, it was perfect for a hot DC summer night on the roof while watching fireworks and celebrating America’s Independence Day! Question of the Day: I know it was a month ago, but how did you celebrate July 4th? Did you drink anything memorable?